When I’m not working on other projects, I write about a guy called Ben Venice and his world. 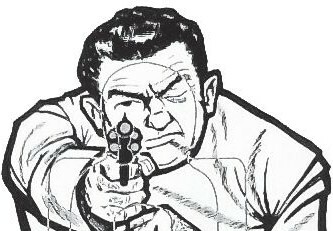 Ben’s kind of what I see -among other things- as the the between the lines version of Nick Fury as depicted in the Spy-Fi crazed sixties. There wasn’t much Jim Steranko didn’t do in his time with the character, but did you ever wonder about Fury’s private moments as he slid from World War II sergeant to head of S.H.I.E.L.D., the time before he became the super competent top cop? Stuff barely hit upon in the single issue 4, one Mr. Steranko only did the cover for? I do, and this is my own take on a similar concept in prose. My favorite works of sequential fiction tend to be told in quick bursts- Those issues of Strange Tales with 12 page stories, daily comic strips like Flash Gordon or Cannon. Overall, growing up I was always getting a hold of old comics that were the second or third part of a saga, and I rarely got the other chapters to the story. I didn’t mind. Hell, didn’t we all have more fun with Star Wars when we only had the last three parts? There’s much to be said about interesting installments, taken on their own merits. To that end, I try to make each piece of this story I’m telling interesting on its own, as sort of a little chunk of “flash fiction” with all fat cut away, that can be taken on its own or as a part of a larger narrative if you’ve been paying attention. 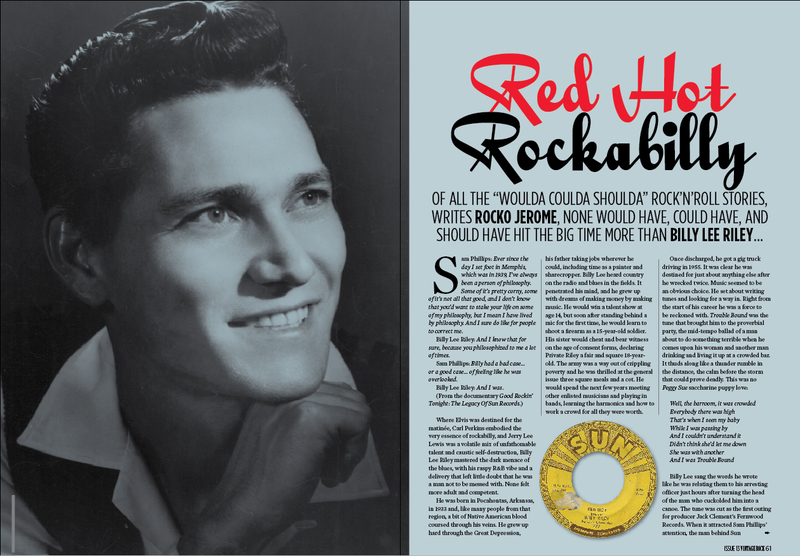 In part thanks to the largesse of my good pal Randy Fox, my piece on Billy Lee Riley is in the new Vintage Rock magazine. It’s out now in the UK and in a week or two here in the US. I’m not going to post the Brian Setzer cover, but I will show you a little preview of my article.